Launched on 8 September at the Greater Mekong Subregion (GMS) Agricultural Summit in Siem Reap, Cambodia, MATCh is offering a platform for startups and SMEs in Cambodia and the rest of the Mekong Region to earn exposure, get connected to local ecosystems and stakeholders and network with investors and incubator programs. On top of that, MATCh is offering support for prototyping and product testing for local markets, individualized matchmaking and coaching, and innovation grants for up to about 10 agribusiness startups and SMEs. The awards up for grabs will also include the Best Startup, Best Technology Transfer, Biggest Social Impact, and Women Leadership too. As the first agribusiness acceleration program in the GMS organised by the GMS Agriculture Working Group and the Mekong Business Initiative (MBI), the challenge was introduced due to statistics of how there will be a 70% increase in food production needed to feed 5.2 billion Asians, 70% of which will live in cities, by 2050. This has helped to pinpoint that the Mekong region has huge potential to exploit opportunities at hand, given its abundance of agricultural natural resources and its strategic location next to China and the Indian subcontinent. However, technology and knowledge transfer are required to unlock the Mekong region’s potential as a major producer of safe and environment-friendly products. Furthermore, Technology is also needed to improve farmer livelihoods and break them out of the vicious circle of poverty. 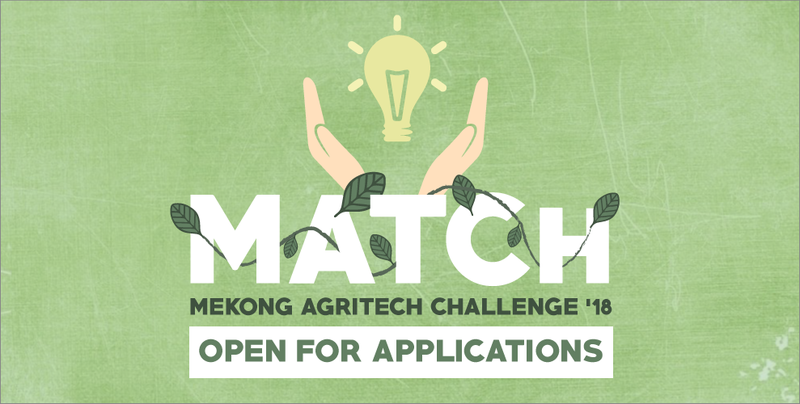 Hence, MATCh aims to help agribusiness startups launch successfully and mature Agritech startups and SMEs to expand into new markets within the Mekong region. It also supports innovative business models that will enhance agricultural competitiveness, improve farmer livelihoods, and promote safe and environment-friendly agriculture practices. geared for early-stage companies in either Agritech or innovative traditional agribusiness business models with high potential for replication, while the MATCh Technology Transfer track is for mature local and international Agritech startups and SMEs looking to expand within the region. The MATCh Startup Accelerator launches agribusiness startups in Cambodia, Lao PDR, Myanmar, and Vietnam. We are looking for entrepreneurs ready to go to market with a developed product or prototype. Innovative non-technology startups with potential for replication will also be considered. Benefits include access to mentorship, potential investment and broadening your business network. For more information, you can visit the Startup Accelerator page here. The MATCh Market Access Accelerator facilitates access to the Mekong region for international agribusiness technology companies with proven products and solutions. Successful Agritech companies from Cambodia, Lao PDR, Myanmar, and Vietnam seeking to expand into new Mekong markets also qualify. Benefits include connections to technical support, opportunities to gain investments and receiving in-country networks. For more information, you can visit the Market Access Accelerator page here. 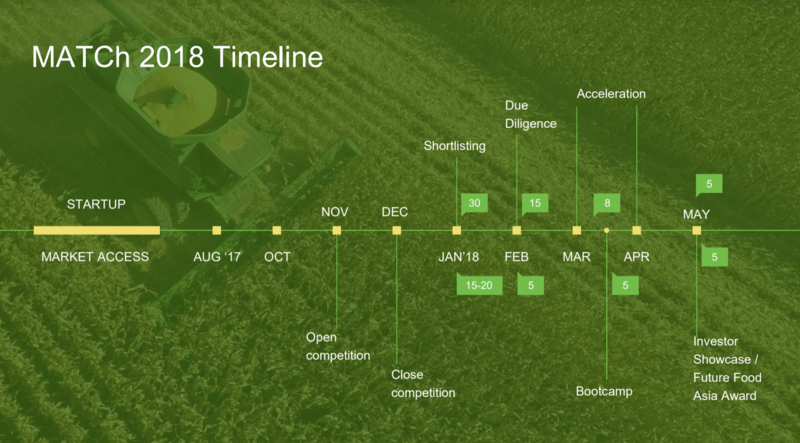 To qualify for these accelerators, you not only have to be from an Agritech Startup or SME located in the Mekong Region, but the Challenge is also looking for businesses who have a pitch deck that clearly articulates ‘Vision, Problem, Solution, Market, Revenue Model, Social Impact, Competition, Marketing Strategy, Timeline, Team, and Financing’. At the moment, applications are open till December for both Accelerator tracks. So if you are a Cambodian startup or SME in the aforementioned sector, head down the MATCh website to apply now and find out more information about this exciting challenge!